I don't know anyone else who can make a Symphony out of one guitar...other than Phil Keaggy. Phil is a master musician. Aren't you amazed at how God has designed Phil with his body, mind, and soul to create music that points others to the Creator? Be amazed. Be very amazed. There's no greater purpose than to play for the King. Make sure you watch through the 4:30 mark, his layering is spicy. Think you are the center of the universe? If you are reading this in your RSS feed, then you'll want to hit the actual site to catch the video. Topics in this week's worship tip & rewind (empowering others, orchestra, micing a guitar amp in isolation, virtual sound check). Get past the dork and listen to the content. If you missed this past weekend at Topeka Bible Church, then you missed a hilarious drama written by our own Steve Larson. What a great way to kick off Jim's sermon series on MythBusters. If you missed it, you'll have to watch the video. The "Vocal Team" led worship this past weekend at Topeka Bible Church. I absolutely LOVE these weekends when every TBC vocalist leads. Having 50 singers on stage belting out harmony on the chorus begs me to sing. If you missed it, you'll have to wait until October 8th to see them again. Most churches would call this group their "choir" - but I don't. Why don't I? It's because of the stereotype church choirs have these days. Believe me, this is not a stogy group of people. They are full of life, sing with gusto, and sound like a modern worship choir. They are THE vocal team at Topeka Bible Church. In fact, it's the ONLY vocal team at Topeka Bible Church. All singers are selected based off their participation in this group. My favorite part of the morning was the 4th row back who LED ME IN WORSHIP. You know who I'm talking about...that row of four African Americans put me to shame as they led me. If you guys are reading this, you know who I'm talking about. Love it! If you do that again, I'm laying my guitar down and coming out into your row. We sang a new song (for us) called "From the Inside Out." This song has been around since 2005 and very popular among other places of worship. I had a new vocalist in the Vocal Team suggest the song - so I put it on my iTune "Suggested Song" playlist. After listening to it, the words really impacted me. Remember, the most important part of any new worship song is the WORDS. Check them out. Someone at Topeka Bible Church asked me, "If I wanted to catch TBC's worship time with the music online, how can I do that? 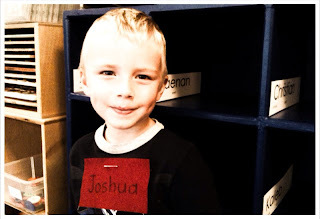 I'm now involved over at the College Avenue Building each week in children's ministry." Great question. While we don't publish any podcasts of the music portion of the worship gathering (copyright nightmares), the sermons are always archived here for TBC. Then they asked me if I could share any other churches that I listen/watch to. 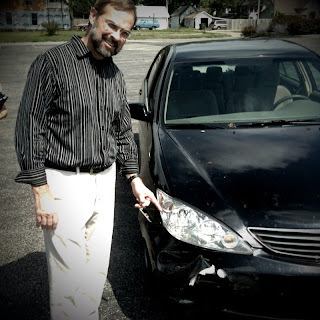 Again, you won't find much music - but you'll catch all their sermons online. Here's a quick list of some churches that are doing great things in the kingdom of God. And you can attend their sermons Monday through Saturday when you aren't at your home church. I'm posting the actual URLs for transferability. 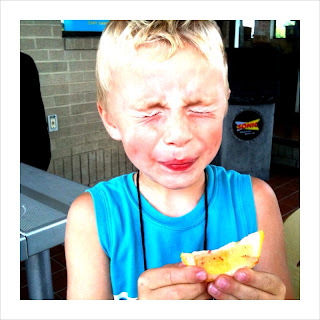 Gave my son a lemon at Sonic after our Labor Day Shunga Trail bike ride. Nice kisser. Shofar, not so good. Underneath the song, a story of TJ was told - a guy who's in the worship arts ministry ... in fact, on stage crew. His life was spiraling out of control. Can you believe that one of TJ's drug dealer clients had started attending TBC and was there that morning? Believe it. This woman was looking for the same hope that TJ discovered. And now the video, song, and story was connecting with her. That's how God works. At this past Sunday's baptism, she was baptized! Do you believe God can use us? If not, change your thinking. Worship at TBC matters! As the Vocal Team, Orchestra, and other groups get started in several weeks, I wanted to review an expectation that I have for every person showing up to rehearsal. The expectation goes like this: Come prepared (having your part already learned). That means if you are a vocalist, you better know your harmony part on the chorus BEFORE rehearsal. If you are a drummer, you better know the INTRO pattern on the song. If you are a guitarist, you better know all the chords before rehearsal. If you are an audio guy, you better know where that instrumental solo happens before rehearsal. Remember, rehearsal is RE-hearing something...not on the spot learning. Most do an excellent job of this, but I do know when you show up unprepared. You know exactly how the melody or chord structure goes, enough to take risks and make a little mistake here or there. You not only knew where the solo was, you nailed it. Your face displays a confident look. You are leading yourself and the worshippers instead of following. You might say, "I really enjoy how the vocals sound on the chorus." You might say, "The recording has this type of feel, but what do you think about this type that I worked on as an alternative (then demonstrate it)." You called me a week ago and said, "I know I accepted the invitation to sing/play 4 weeks ago, and you even got me music 2.5 weeks in advance, but I've had some major unexpected changes in my life - I need to decline, can I make some phone calls for you?" If we come to rehearsal prepared, our relationships will become more important than the music. That's the end goal.